What’s it like to grow up in a war zone? What’s it like to grow up in a war zone? Many of us can’t answer that question, since it’s just out of our imagination which consequences war would have on the body and souls of our fragile children. Death Penalty, Yes or No? Vote! I’ve just read an amazing article about the Death Penalty in India and like its author I’m totally against all forms of Capital Punishment. Still, I am interested in what my readers are thinking about this topic, so I made a poll where you can vote for or against the Death Penalty. Of course the voting is totally anonymous, so don’t worry about me seeing your name/IP address or anything like that. Please leave a comment here if you want to say something more about this issue. 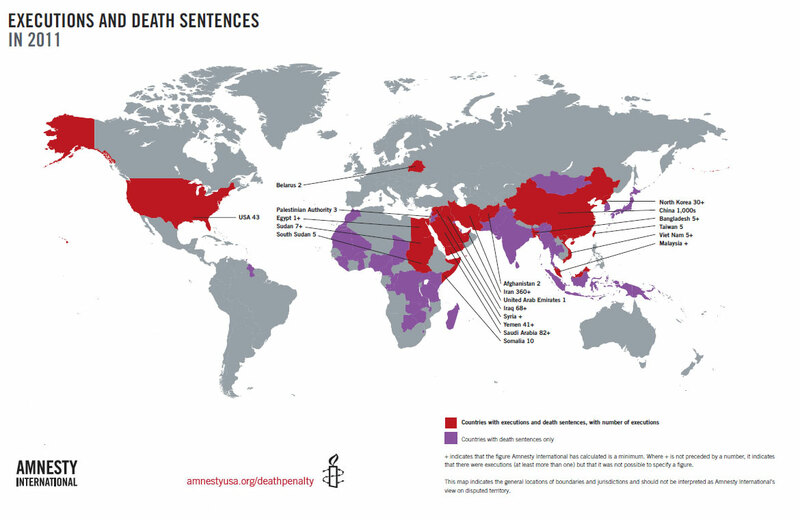 Below you can find “Reasons against the death penalty” with a few comments by me and also the article I mentioned above. 1. Executions cost more than life in prison. $2 million per person vs. $500,000 (4x as much!). Free counsel for defense, for appeals, maximum security on a separate death row wing. Stop Kony? Who the F*** is Kony??? The war is being waged by two rival drug cartels, the Juarez and the Sinoloa, block by block for control of the city and its trafficking routes. The result is extreme levels of violence, corruption and intimidation. And for the past two years, photographer Dominic Bracco II has been covering the war’s effects on the border town’s residents. While he is working there as a journalist, Bracco can’t help but feel invested in the subjects that he’s become so familiar with.